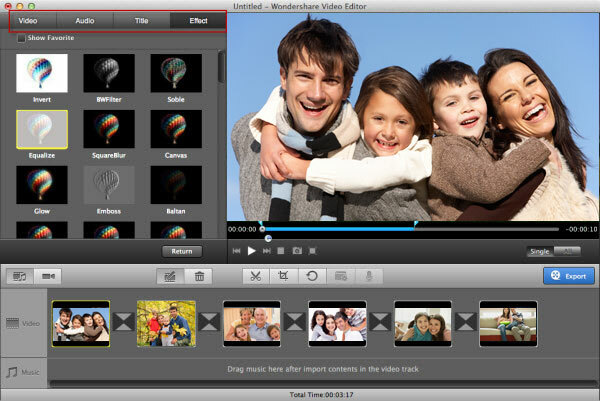 Wondershare Video Editor for Mac 6 makes it incredibly easy to edit videos and add special effects. Its clean, intuitive interface, coupled with a how-to guide, will appeal to users who have no prior video editing experience. Picture-in-Picture: Have multiple videos or images displayed in the same frame! Enrich your video story with even more appealing visual experiences. 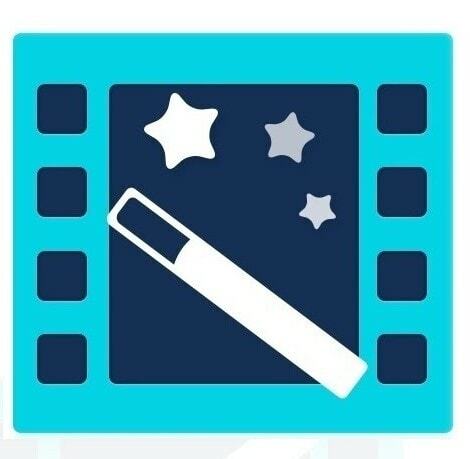 Green Screen (Chroma Key): Make your very own DIY Chroma Key Green Screen and get professional video effects like the ones you seen in movie theater! Playback Speed Control: You are the Action Director! Take control of playback speed in your video clips. Tilt•Shift Effect: Transform the subject(s) in your footage to create surreal & fascinating miniatures. Auto Enhance: Instantly improves your picture quality to help people, places and other details look their best. Scene Detection: Automatically detect scene changes in footage and create a new clip for each different scene. Stunning Filter Effects: Choose from over 80 classic, creative and professionally designed filters, drag-and-drop to apply them directly to your video clips. Dynamic Transitions: There are 59 stunning transition effects for you to choose from. Text Effects: Pick from the 19 different engaging customizable text effects. Intros and Credits: Personalize your movie with the 13 trendy and pro•looking intros as well as end credits templates. Sound Effects: Raise your creativity to the next level with a large selection of sound effects. Advanced Editing with Limitless Possibilities: Create spectacular professional-looking home videos with multi-track timeline, overlay footage, PIP objects, green screen effects, and many many advanced editing features, cause we know, your creativity has no limit!